When we first moved here, the yard was big, green and boring! I like to have people over. I like to grill out. I like to spend time outdoors watching the kids play and just enjoying the day. So I set out to transform my yard into an outdoor Oasis. First up. Mama needs a comfy spot to sit. I love this set. It is so comfortable and believe it or not I do a lot of blogging out there while the kids are playing. And it has plenty of room so that when we are all hanging out, there is enough space for everyone to sit and relax. We ended up having a ton of rain this week and I didn’t get any pictures of the kids play area. But every backyard oasis needs a spot for the kids to run and play without having to be micro managed. Right? Besides a seating area and a spot for the kids to run and play, it is a must to have somewhere to sit and enjoy a meal together. Being in the south there is a huge window of time that we can sit outside and not die from heat or cold. A table we can all gather around and share a meal, play a game or just relax is so very important. 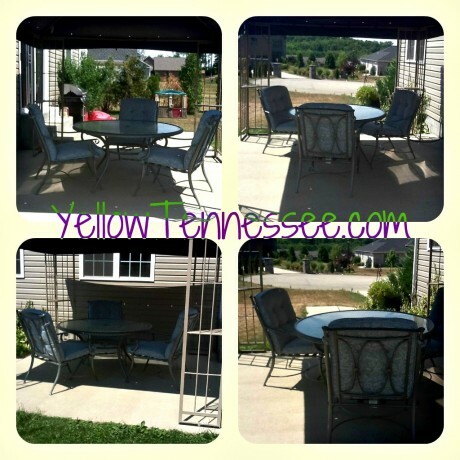 Throw up a gazebo to offer some shade from the sun and you have yourself the perfect Outdoor Oasis! Now that I have shared what turns my backyard into my perfect summer oasis, I want to know what you’ve done to transform your backyard into your oasis. One of my lucky readers will win a $25 Sears gift card! 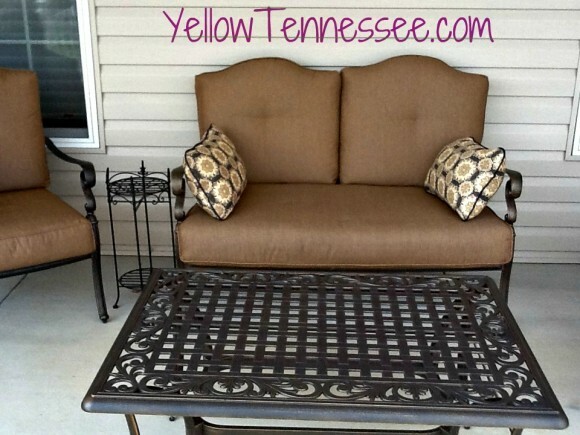 Need help finding your own pieces for your backyard? Sears is bringing the ease of searching for those perfect pieces with their recently launched iPad digital catalog. On your computer? Don’t fear, Sears has an amazing digital catalog built just for you.